Welcome. 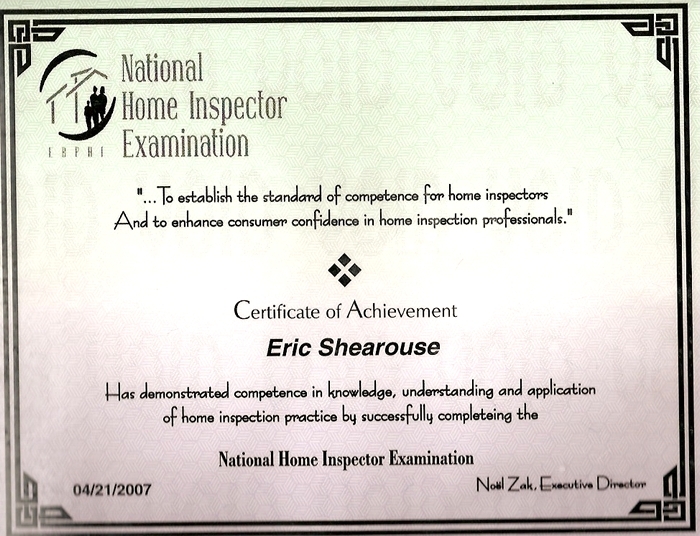 I am Eric Shearouse, owner and full time inspector, of Savannah Home Inspection, LLC. 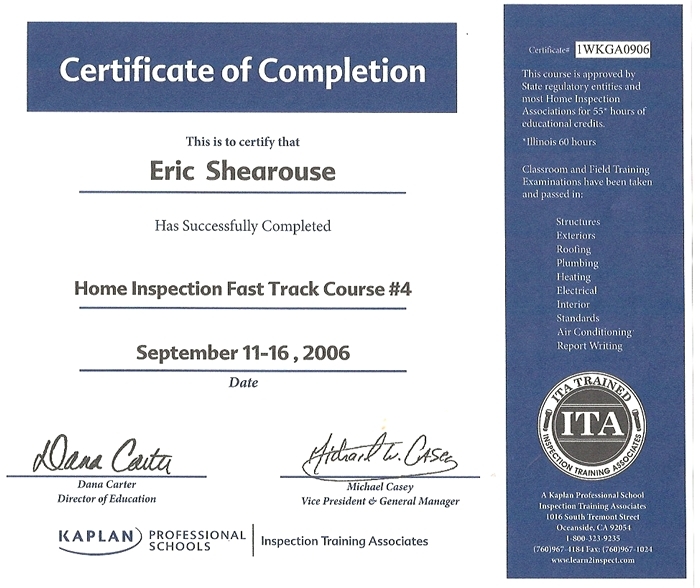 Upon graduation from Georgia Institute of Technology in 2000 with a Civil Engineering degree with an emphasis on structures I have spent the last eight years doing residential and construction inspections in the Savannah area. I am extremely thorough and represent my customer with the highest integrity. I realize that a home or building purchase can be a huge investment. It is extremely important that a thorough home inspection be performed to protect your investment. Home Inspectors are not alike even though we are supposed to practice under the same standards. If you want the best inspector in this area, I am the one. My goal is to be prepared when I arrive at the home and to be proud to represent you. I will record all my findings for you, help you understand the implications of the findings, and direct you as necessary to a corrective resolution. My report is computer generated with digital pictures, and arrows pointing to any problems. The report is clear and easy to understand. I will make every effort to discover and report any defects or areas of concern to you. After you review your report, you will feel confident that I was thorough and had your best interest in mind! Graduate of Georgia Institute of Technology. BS in Civil Engineering (emphasis on Structures). 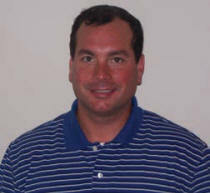 I am licensed, bonded, and carry both Errors and Ommisions, and General Liability Insurance. I have eceeded 20 hours of continuing education each year. I have legal lock box access to all listed residential structures.